On Highlands Certified Consultant Heather O’Neill Jelks’ website she describes herself as an executive coach and consultant dedicated to the development of masterful leaders. The term “masterful leader” struck us as powerful. What Is a Masterful Leader? 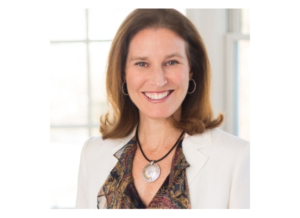 Through Heather’s business, Nautilus Coaching & Consulting in Washington, DC, she works with executives to become masterful through a variety of approaches that deepen resilience, wisdom, and well-being. One of those approaches includes the Highlands Ability Battery (HAB). Recently, Heather coached a senior leader at a prestigious federal agency. Despite the high-level position, he was questioning what was next in his career. He sought Heather’s help to get there. 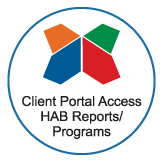 As part of their coaching work together, Heather advised him to take the HAB so they could review the HAB Leader Report together. Fortunately, he did follow Heather’s advice, because the HAB Leader Report provided powerful insights, specifically around Idea Productivity. Over the course of their six-month coaching arrangement, Heather said they returned to the HAB Leader Report over and over again. The insights proved more way more powerful than his initial frustration with the assessment. Heather received her Masters of Science in Organization Development from American University and worked internally in organization development at a large health care organization before going out on her own in 2008. In addition to Heather’s one-on-one work with business leaders, she also works with companies and teams to develop retreats, hold trainings, and deploy team building events among other things. In fact, she recently completed a 2 1/2 day workshop for a Washington DC law firm where she was able to incorporate the concepts of her book, Missing Conversations. To learn more about Heather and her work coaching leaders, read about the book she co-authored with Bridgette Theurer, Missing Conversations: 9 Questions All Leaders Should Ask Themselves and visit her website, nautiluscoaching.com.